In medium glass or plastic bowl, toss ingredients. Cover; refrigerate about 2 hours or until chilled. Select cantaloupe and honeydew melons by smelling the soft stem end. A sweet, fruity fragrance means ripeness. Store both varieties of melon at room temperature until they are ripe, then keep them in the refrigerator. 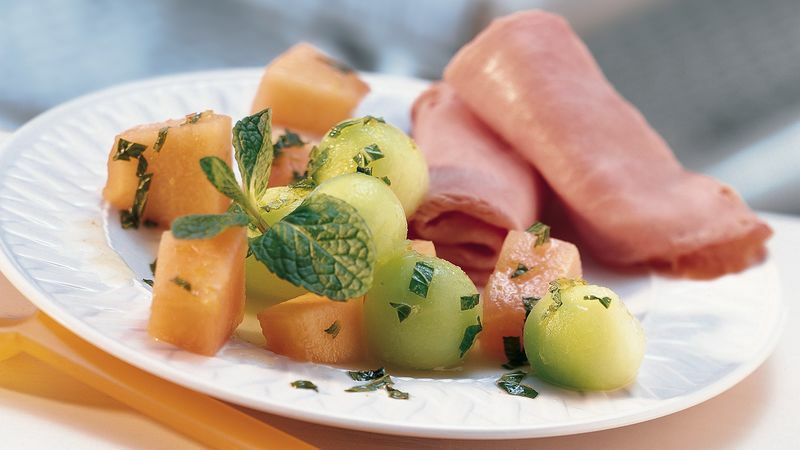 Instead of cubing the melons, cut into balls with a melon baller.